Lee Tusman is a new media artist and curator interested in the application of the radical ethos of collectives and DIY culture to the creation of, aesthetics, and open-source distribution methods of digital culture. His artistic output includes interactive media, video art, net art, experimental videogames, sound art, websites, twitter bots and micro-power radio stations. He enjoys working collaboratively in collectives, on nomadic projects and in ephemeral spaces. Many of his works feature themes of self-identity, mistranslation and new methods of communication in contemporary internet culture. 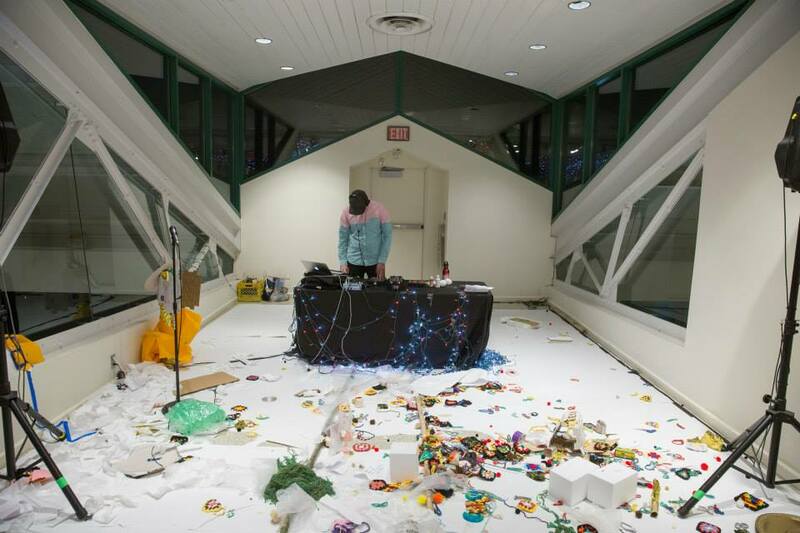 In addition to his art practice, Tusman has curated dozens of exhibitions and performance projects at universities, galleries, institutions, and alternative spaces including The Hammer Museum; Riverside Art Museum; Babycastles; California State University, Northridge; University of California, Riverside; Pew Center For Arts and Heritage - New Spaces/New Formats; Space 1026; Little Berlin; Hidden City; and many others. He is a frequent guest lecturer at universities and has been interviewed by The New York Times, Al Jazeera, NPR, LA Times, NBC, Metro, CBS, Technically, AQNB, The Philadelphia Inquirer, The Wire, and The Smithsonian. Tusman's projects probe the boundaries of exhibition-making, featuring multidisciplinary works and new technology. His most recent project is Room 21, a new performance project with composer Jace Clayton for The Barnes Foundation, supported by Pew Center For Arts & Heritage. He studied at Brandeis University and received his MFA at UCLA in Design Media Arts in 2017.